Celebrate this mid-winter or mid-summer solstice with joy, optimism and excitement for the future! It’s a turning points, symbolic of endings and new beginnings, and with Jupiter so close to the sun, and about to cross this solstice point for the first time in twelve years, whatever you intend is magnified a hundred fold! As the sun crosses 0 degrees of Cancer (also known as the Aries Point), it triggers powerful points (Draconic Nodes) releasing energy to move you along your path. If you want to fast track your abundance, creativity, well-being, love and enlightenment, then focus our thoughts today! SUN INTO CANCER June 20 -21 SOLSTICE! Remember to spot where 0 Cancer is in your chart and amp up the energy in that area of life! Comments and questions welcome on the forum. ARIES: Clean the house, wash the windows, clear the air, especially with family. Ask: is your home a true reflection of you? All new things are coming in this area of life. Cherish your body too! TAURUS: Start a new course of study, join a community project, get friendly with the written or spoken word. Ask: is there anything you’d like to learn, teach or share? New ideas are coming in. Communicate! GEMINI: Indulge in all your core values, develop your talents and be MORE of who you are. Ask: Are you letting the abundance in? It’s enrichment time. Think more self-sustaining. A hobby turns into a career! CANCER: This is a new chapter in your life. Open the door to your dreams by showing up! Ask: is your life an accurate reflection of who you want to be? Change is easy now. The universe has your back! LEO: Commune with your unconscious. Take time to record and reflect on your dreams. Ask: are you deep in the well of your creative heart? There are opportunities pouring in. Be ready! VIRGO: Friends and like-minded others are a source of inspiration if you’re hanging out with your own kind! Ask: are these birds really of your feathers? Plant your hopes and wishes for the future in fertile soil. Now! LIBRA: Your career takes a turn for the better with a chance to carry more responsibility for a much greater reward. Ask: Do you light up in a smile when you think of your life work? This is the time to take a risk. SCORPIO: Take your mind, body or spirit somewhere it’s never been before – meditate, travel, read, learn. Ask: are you holding yourself back from your real dreams? Best not, as chance of a life time offers pour in. SAGITTARIUS: Intimacy and intensity is what will light your fire now. Go ahead and take a leap in the dark. Ask: are you playing it safe with your emotions? Express, purge. Make room for incoming love. CAPRICORN: Partnership is the focus and you will benefit by assessing the relationships in your life. Ask: do you feel free to be who you are? Time to connect to the part of you that is brilliantly authentic and true. AQUARIUS: Putting energy into the body, health and physical well being brings great results! Ask: are you getting enough exercise every day? It’s time to listen to your body, really listen, and respond. PISCES: Creativity springs from a well of romance. Write, play, choreograph, sing, act. Ask: are you allowing for love in your heart? Be ready to let the inner child out and the opportunities in! If you’re inte rested in some first class guidance in using astrology to improve your manifesting results, join us at GoodVibeAstrology.com in a five week course beginning June 18th. The positions of the solar system planets on the December 21 solstice (2012 December 21 at 11:12 Universal Time) Image credit: Solar System Live. The “Mayan Prophecy” thing is based on an erroneous interpretation of a sacred calendar . . . and a weak grasp of both astronomy and astrology. There is a LOT of talk about December solstice 2012. A lot. Books have been written, and perhaps fortunes made, all on the notion that something cataclysmic or, at a minimum, unique and transcendent, is happening then. It’s linked to one of the Mayan calendars, the Long Count, which measures cycles of four hundred years (in 5,000 year go rounds). Some have misunderstood 2012 to represent the ‘end of the world’, not the end of a four hundred year cycle. Contemporary Mayan priest are baffled by this. They have no beliefs stating the worlds ends, transforms, whatever, this December 21st. As a matter of fact, the Mayan, twelve hundred years ago, made notes (carved into rock) on dates much further into the future, 4772 AD and beyond. If I were going to write about Mayan prophesy, I’d be more interested in exploring why a culture would be marking dates thousands of years into the future, than suggesting something earth shattering, literally, was going to happen at the end of a long count cycle. The Mayans have no knowledge of reference to this notion. <– Maybe read that sentence twice? Aside form the Mayan culture not predicting more than a once every four hundred year change of cycles, (read more about the real Mayan prophecy here) we don’t line up with the galactic plane on solstice either. That was an event that happened three million years ago and will not happen again for another thirty million years. With the orbit of our galaxy, we’re talking LONG cycles. What does happen this December, (and every June and December when the sun is 27 Gemini and 27 Sagittarius), is the ‘line up’ with the galactic equator, an astronomical reference point. It’s the circle on the celestial sphere that is equidistant from the galactic poles, being inclined approximately 62° to the celestial equator and lying about one degree north of the center line of the Milky Way. Twice a year, we ‘line up’ great circles with the line that points to the GC, or Galactic Center. (27 Gemini and 27 Sagittarius) These degrees have not been explored very deeply in an astrological sense, but when there is a powerful collective belief about what might be in, or behind, that massive black hole we call the center of the Milky Way, (and even an inaccurate belief that we are lining up with it in an exact way coupled with ancient cultural reference, mostly misinterpreted) it creates ripples. 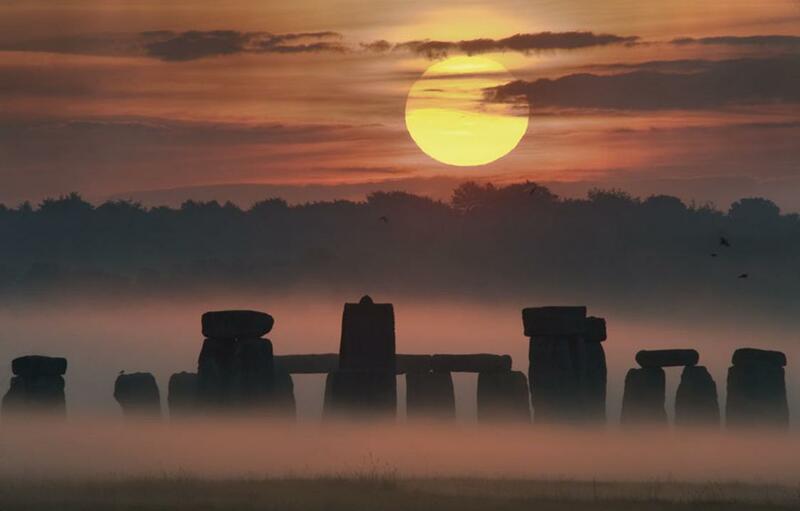 What does solstice 2012 mean to you? Meanwhile, below are key words for the houses so you can get an idea of what’s the buzz and where to put your focus! If you’re still in doubt about of the ‘line up’ of 2012, remember that consciousness trumps external ‘reality’, every time. Energy follows thought! So you decide where you are going to point yours! Since the dawn of awareness, humankind has been celebrating the mid-winter and mid-summer solstices with a feeling of hope, community and well-being. These are turning points, symbolic of endings and new beginnings. In the southern hemisphere, the sun ‘dies’ to be reborn the next morning as it crosses 0 degrees of Cancer (also known as the Aries Point). From then on, the days begin to lengthen and all is renewed. For the northern hemisphere, it’s still 0 Cancer but from now on the days are getting shorter! In either case, this is a beautiful time to set intentions for yourself, your loved ones and the world community. The New Moon at 28 Gemini 43′ comes thirty two hours before the Solstice this year amping up the feeling of renewal and opportunity. Because this is happening within one degree in the zodiac, effectively 29 Gemini – 00 Cancer, the Aries Point is triggered. Where the AP is in your chart (within a few degrees either side) you’ll experience a renaissance of being. Check the scopes below for hints and tips. Have a wonderful mid-winter, or mid-summer solstice everyone! SUN INTO CANCER May 20 -21 SOLSTICE! ARIES: Clean the house, wash the windows, clear the air, especially with family. Ask: is your home a true reflection of you? All new things coming in this area of life. Cherish your body too! TAURUS: Start a new course of study, join a community project, get friendly with the written or spoken word. Ask: is there anything you’d like to learn, teach or share? New ideas are coming in! GEMINI: Indulge yourself in sensuality — essential oil baths, long walks, massage, fine food, good vistas. Ask: Do you know the world by touch? It’s time you stopped dreaming and started feeling. LIBRA: Your career takes a turn for the better with a chance to carry more responsibility for a much greater reward. Ask: Do you light up in a smile when you think of your life work? This is the time to take a risk and be true yourself. SCORPIO: Take your mind, body or spirit somewhere it’s never been before—meditate, travel, read, learn. Ask: are you holding yourself back from your real dreams? Best not as chance of a life time offers pour in. SAGITTARIUS: Intimacy and intensity is what will light your fire now. Go ahead and take a risk. Ask: are you playing it safe with your emotions? Express, purge. Let it out. Make room for incoming love. PISCES: Creativity springs from a well of romance. Write, play, choreograph, sing, act. Ask: are you allowing for love in your heart? Be ready to let the inner child out and the contracts in! I imagine we’re all a tad busy right now so I’m going to put up a few links to check out over the next few days. We can discuss any or all of them here. #2 New Moon Scopes are live! #4 I’m talking live tomorrow via Good Vibe University on all things 2012. It’s a free call so dial in and join us. Questions and comments welcome. I’ll add anything of interest over the next few days. Coming up before the New Year will be a post on 2012, my views. Meanwhile, everyone have a fabulous holiday season and rest, relax, rejoice! For thousands of years, the ceremonies at mid-winter and mid-summer solstice have been the most important of the annual festivals. These are turning points, symbolic of endings and new beginnings. In the northern hemisphere, the sun ‘dies’ to be reborn the next morning as it crosses 0 degrees of Capricorn (also known as the Aries Point, see link). From then on, the days begin to lengthen and all is renewed. For us in the Southern hemisphere, it’s still 0 Capricorn but from now on the days are getting shorter! In either case, this is a beautiful time to set intentions for yourself, your loved ones and the world community. GEMINI: Intimacy and intensity is what will like your fire now. Go ahead and take a risk. Ask: are you playing it safe with your emotions? CANCER: Partnership is the focus and you will benefit by assessing the relationships in your life. Ask: do you feel free to be who you are? LEO: Putting energy into the body, health and physical well being brings great results! Ask: are you getting enough exercise every day? LIBRA: Clean the house, wash the windows, clear the air, especially with family. Ask: is your home a true reflection of you? SCORPIO: Start a new course of study, join a community project, get friendly with the written or spoken word. Ask: is there anything you’d like to learn? SAGITTARIUS: Indulge yourself in sensuality –baths, long walks, massage, fine food, good vistas. Ask: Do you know the world by touch? PISCES: Friends and likeminded others are a source of inspiration if you’re hanging out with your own kind! Ask: are these birds really of your feathers?